Keeping your business running smoothly is what matters most to us. We combine market-leading commercial laundry, catering and heating equipment with unrivalled service backup into one convenient package. And, our national network of service engineers are located no more than 30 minutes away from you – giving you peace of mind, so you can get on with what you need to do. We’re market leaders, but that doesn’t mean we’re sitting on our laurels. We’re constantly evolving, using unique customer insights to create solutions which make life easier for you. We combine top-quality equipment, technological and scientific innovation and an unmatched level of service into one convenient package. It’s resulted in the development of our industry-leading commercial solutions, including our Total Care package, our energy-saving combi ovens, our SMART washers and dryers and our OTEX ozone disinfection system. We listen to thousands of organisations to gain insights into what they need – a better machine, a faster fix, a quickly-delivered part – and then we get to work. Above all, what we do is provide your business with peace of mind so you can get on with what you need to do. 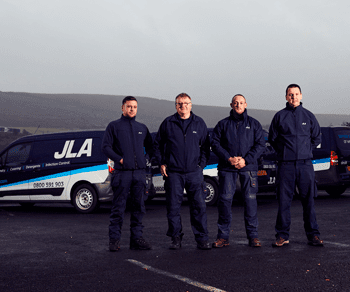 We do things right – and we do them quickly – because we have an unrivalled national network of service engineers, who are located no more than 30 minutes away from any customer. We invest in our contact centres in Ripponden and Manchester so that someone’s always there to pick up the phone, no matter when you call. We hire chemists to develop cutting-edge, cost-efficient detergents and disinfection systems that get things cleaner than clean. We champion the development of advanced technology that saves you time and money. No matter what you need, we help make it happen because we have the support in place to do so.